Set the tone to your outdoor decor. 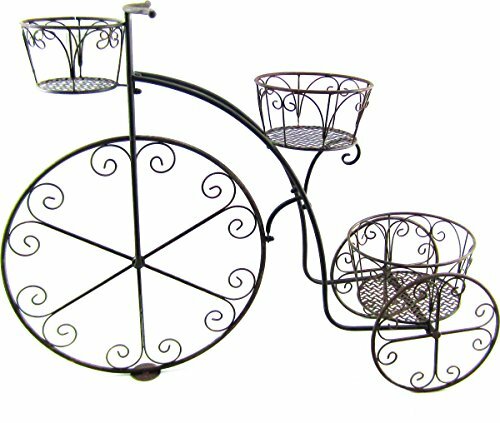 This bicycle plant stand will create a focal pt. Where ever you place it. Can also be used indoors. Constructed in a weathered Brown finish it will accent any style decor. Some assembly required.